It's Friday and of course we need to up our bpm game a little bit. 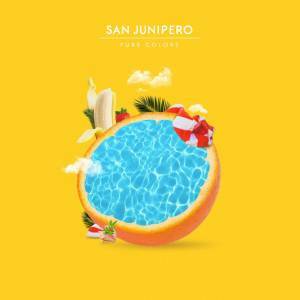 This weekend mood setter is the 2nd track off the new Pure Colors EP - a bassy funk explosion titled "A Day In San Junipero". Honestly, hands down the most upbeat track I've found in months and I can't wait to play it on the next Stereofox event. This one requires some serious dance moves! Also, yes the opening sample is from Black Mirror's episode. If you haven't seen it, then you definitely should.